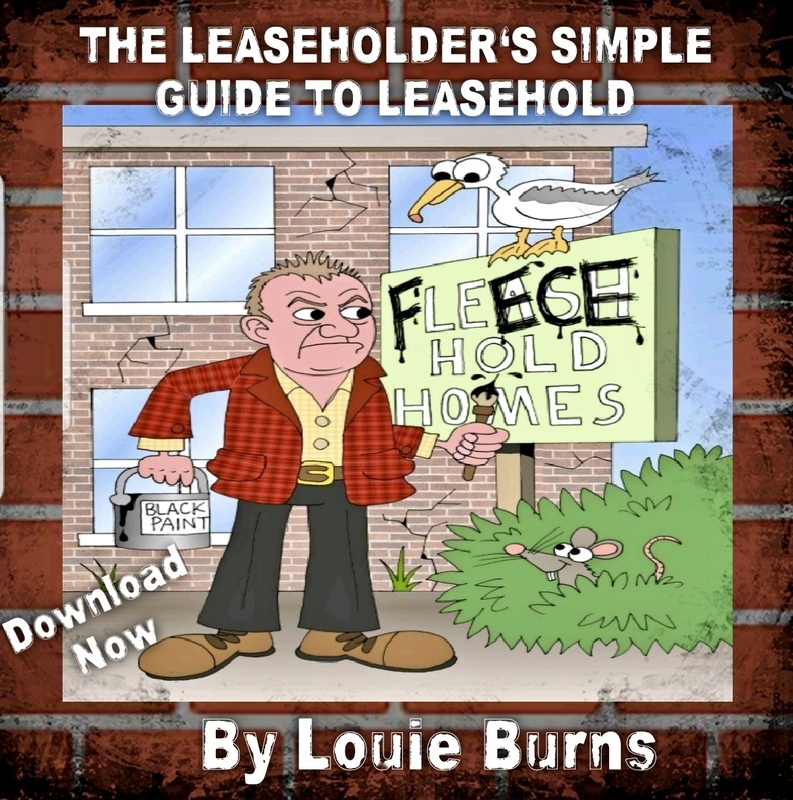 I am very proud to announce the publication of my new book ‘The leaseholder’s simple guide to leasehold’ on Kindle. We will soon have a hard copy in paperback too. 100% of all the money raised from sale of this book is being donated to the National Leasehold Campaign and the Leasehold Knowledge Partnership. By buying this book you will be supporting their great work. The world of leasehold is ridiculously complex and generally a battle between you and your freeholder. It’s not a fair fight though, your freeholder will usually be an absolute expert in leasehold and chances are you are not. Over the last ten years I have helped many thousands of leaseholders extend their leases or buy their freeholds. On a daily basis I battle with the biggest and most rapacious freeholders in the country. I see the various tricks they try to pull to extort more money from leaseholders and I stop them from being successful in their money grabbing goal. I have been in numerous battle in the First tier Tribunal and the Upper Tribunal as we fight to ensure that the leaseholders get a fair deal. I have used all this experience to pass on to you what is involved in the various processes you may be considering. This is not a dry text book guide to leasehold but an actual guide where I explain in reality the battles you will face and the tricks of the freeholders you will need to look out for. In this book I have tried to remember what it feels like to approach the complex subject of leasehold for the first time. I have avoided wherever possible the technical jargon used by the sector. I have tried to explain these complex subjects as simply as I can. This book is designed to give you enough knowledge to navigate the leasehold system and make an informed decision about what is the best option for you and your family. This chapter explains in simple terms how the valuation of a lease extension or freehold purchase is calculated. It spells out the main areas of dispute you will experience when you go through the process and how you can get the best from the valuer by understanding the issues. This is a guide to how to extend your lease and how it works in reality. It explains clearly what to look for if you are about to employ a solicitor or valuer to act for you and the best way you can negotiate with them regarding their fees. It is a step by step guide to a lease extension. It also spells out what you pay and when it is due when you extend. This chapter explains why your freeholder will often try to pursued you to forgo the statutory route and instead enter into a deal directly with them. I spell out in this chapter why you should use extreme caution when you are presented with this. It spells out the various points you should consider. If you have a flat and you are considering buying your freehold, this chapter will explain how to approach this. It spells out what planning work you can before you pay any money to professionals for their advice. It explains the benefits of buying your freehold and some of the hurdles you will have to use. This chapter can be used as a discussion document for flat owners looking to buy their freehold to ensure you have considered every aspect of it before you proceed. If you find yourself trapped in what has become known as the ‘leasehold house scandal’ then this chapter is for you. It explains why you have found yourself in this situation. Your options if you are considering suing you conveyancing solicitor. What is involved with buying the freehold of your house and the pitfalls you need to look out for. I sincerely hope that this book puts you in a better position to understand what your options are and help you make the best choices possible. Please download this book by clicking here and support the National Leasehold Campaign and the Leasehold Knowledge Partnership. Superb and very informative. So proud of you and your fight for justice in the Leasehold scandal. Hi how do I buy this please is it amazon ? Also how do I hire you to fight my case?